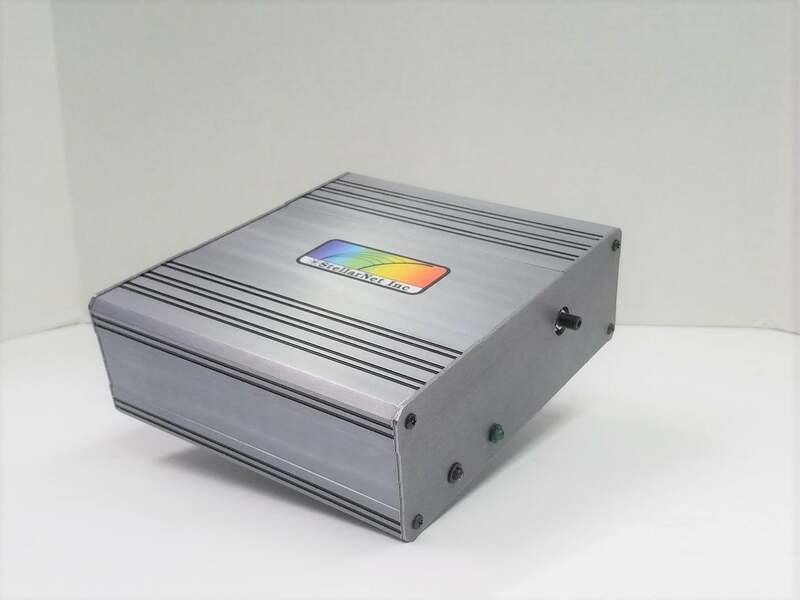 532nm Raman Spectrometers - StellarNet, Inc.
StellarNet offers a variety of high performance spectrometers configured for 532nm Raman spectroscopy applications that perform quick identification of a variety of liquid, solid, or powder samples. 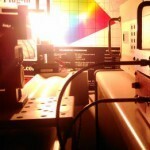 532nm laser excitation is a common wavelength chosen for Raman spectroscopy. This is because the Raman scattering efficiency in this region is very high. 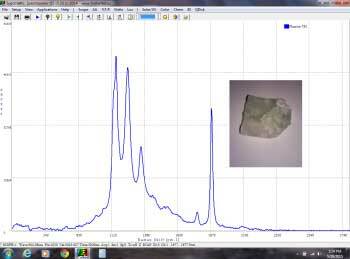 Green lasers typically can be good for metal oxides, minerals, or other inorganic materials and resonance Raman experiments (e.g. for carbon nanotubes and other carbon materials). Since scattering efficiency is high, there is less need for high power excitation which could possibly burn darker samples. 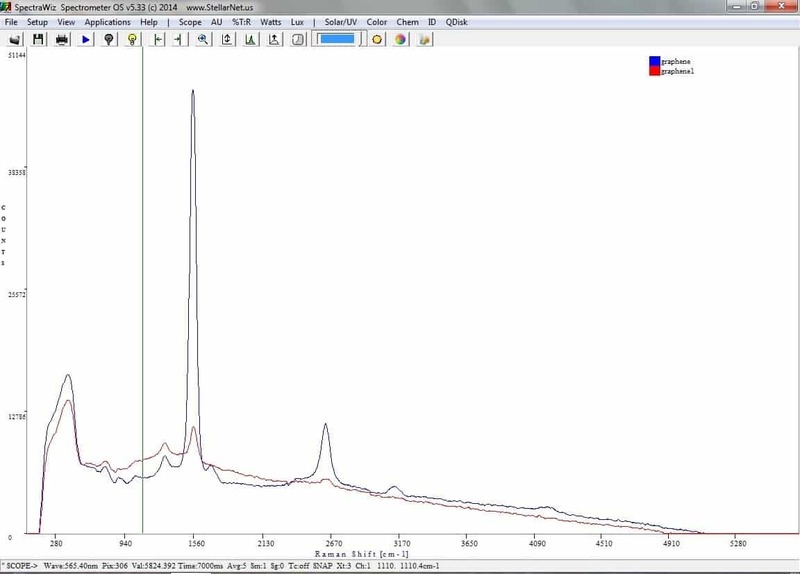 Also, spectrometers configured for 532nm Raman can cover a wider wavenumber shift such as 200-5,250 cm-1 which allows you to see valuable information such as -NH and -OH functional groups found at 2,800 and 3,700cm-1 respectively. 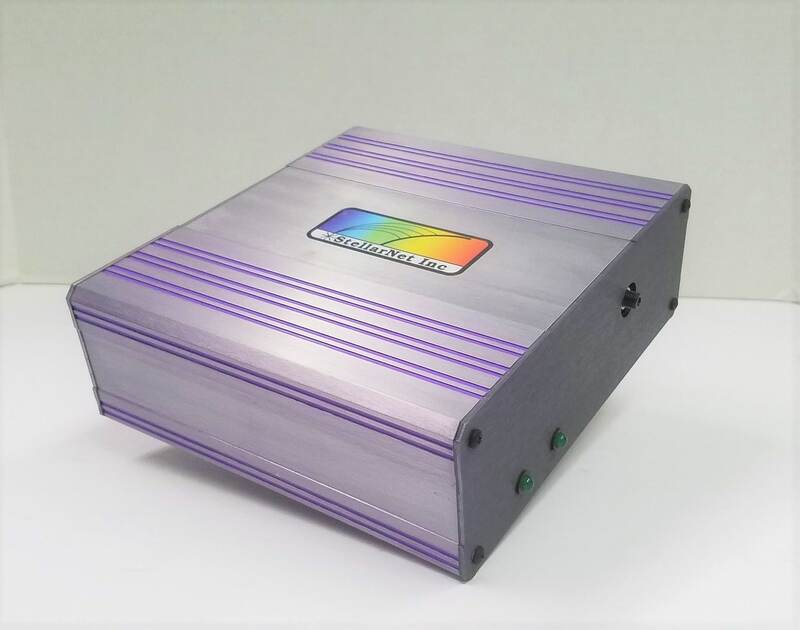 Raman-HR-TEC-532 Spectrometers are our most popular 532 Raman spectrometers and include an enhanced CCD array detector tuned for 532nm Raman with advanced detector lens assembly for ultra sensitivity at long exposure times. 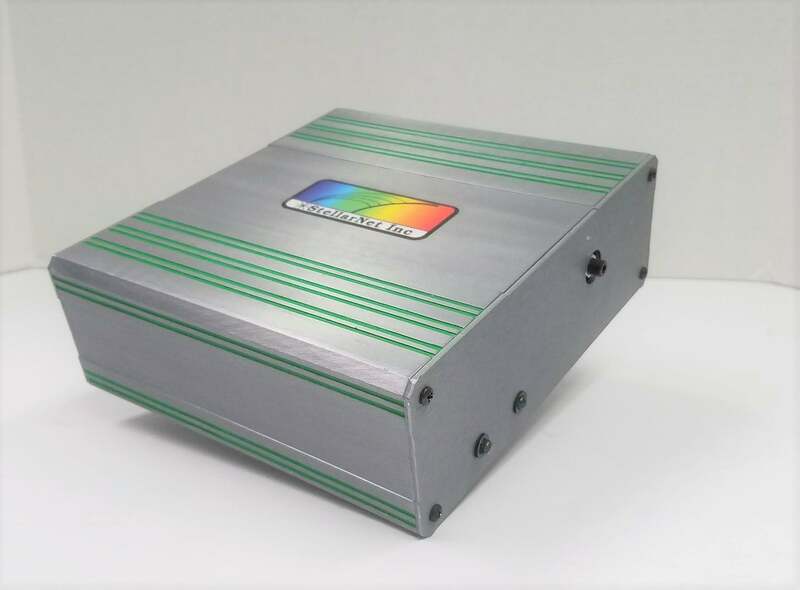 Raman-ER-TEC-532 Spectrometers extended range Raman spectrometers include an enhanced CCD array detector tuned for 532nm Raman with advanced detector lens assembly for ultra sensitivity at long exposure times. 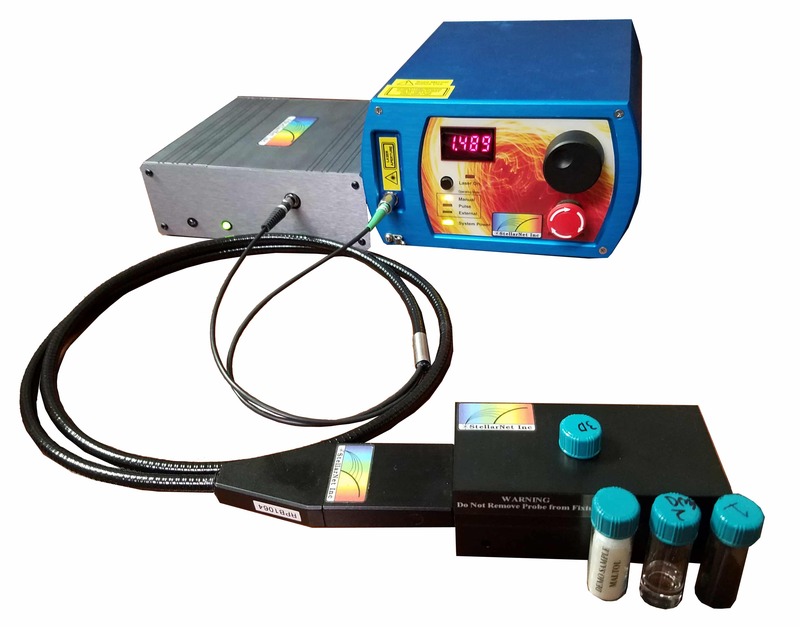 Raman-HR-TEC-X2-532 Spectrometers offers 2-stage detector cooling for ultimate sensitivity and performance! Great for long exposures up to 8 minutes. Interchangeable Slits Upgrades are available for “HR” optical benches to allow more application flexibility. 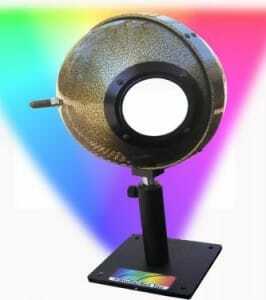 High Scattering samples can be measured with the smallest slit for highest resolution and weak Raman can be measure with a larger slit to allow for increased light throughput. 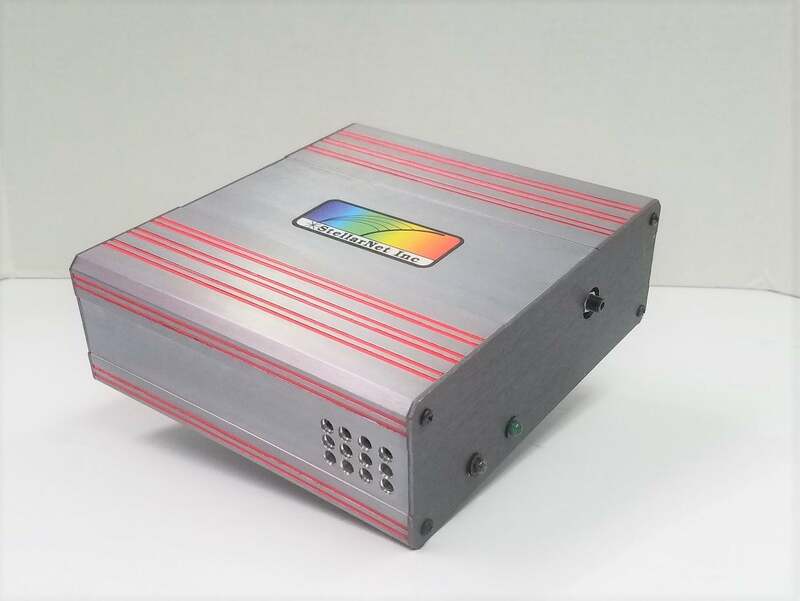 Raman-SR spectrometers are typically recommended for OEM and portable applications where the specific sample set is known and works well without detector cooling. - 8 minutes with TEC-X2! RPH4 – Raman Probe Holder block supports 1/2″ vials. 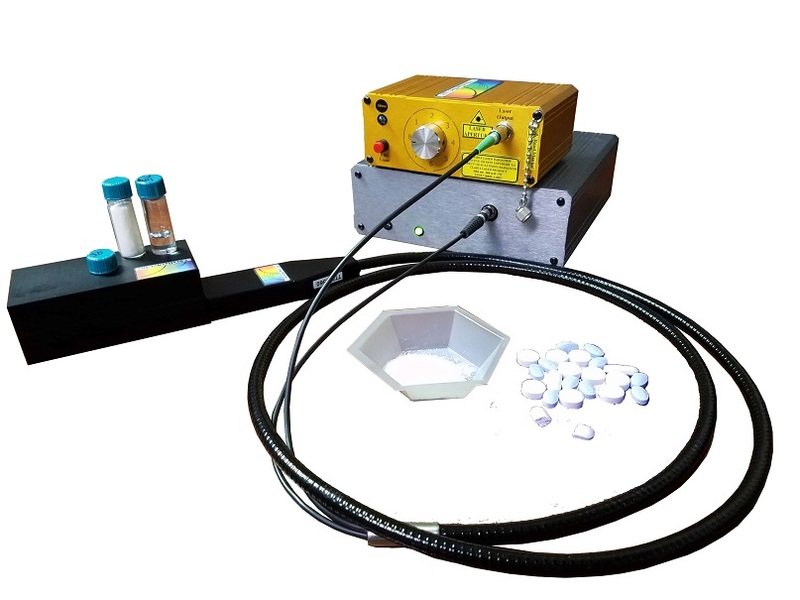 RPH5 – Vertical Raman Probe Holder Block for powder and solids. Samples are placed onto a slide and inserted into the measurement chamber of the block. 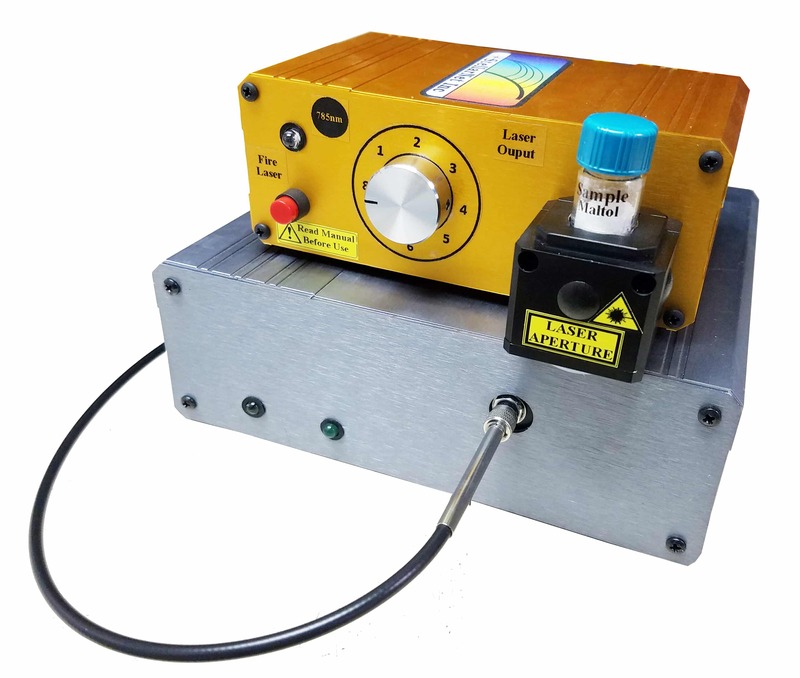 Includes a laser safety interlock which only allows the laser to fire when the probe is securely seated into the holder. 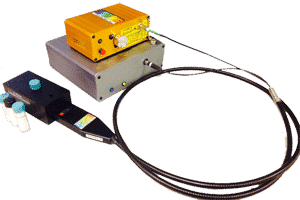 Raman-Probe-Process – Raman Process Probe for 532nm source. Stainless-steel pressure sleeve specified to 3000 psi and up to 500ºC. Sapphire window and gold seal are resistant to many corrosive chemical environments. 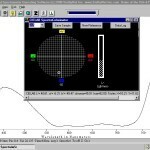 If my current Raman spectrometer does not have TEC-X2, can I upgrade it? 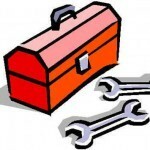 If I don’t have interchangeable slits, can I upgrade my spectrometer to have them? How do increase my exposure time to 8 minutes? 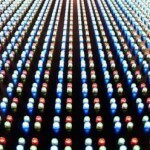 How do I choose a Raman Wavelength? 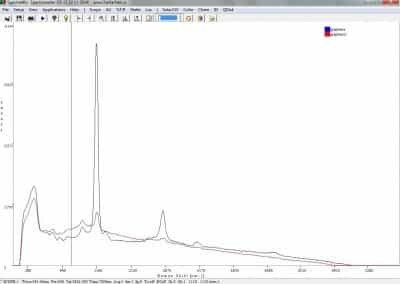 How do I know if my sample has nice Raman spectra? 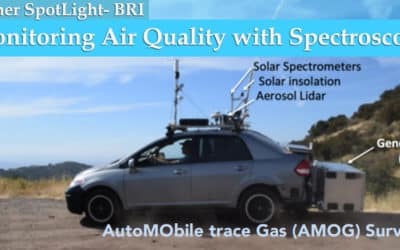 How do I convert wavelength to cm-1 ? Is Raman a destructive or non-destructive technique? 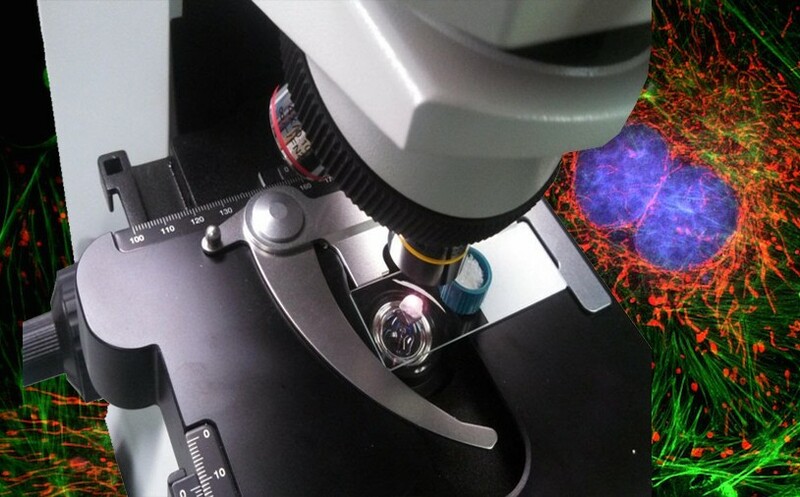 What do I do if my laser burns my samples? 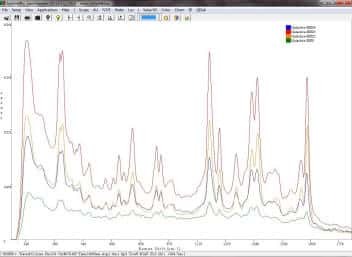 How do I remove baseline shapes such as signal Raman fluorescence or vial glass from my spectra? 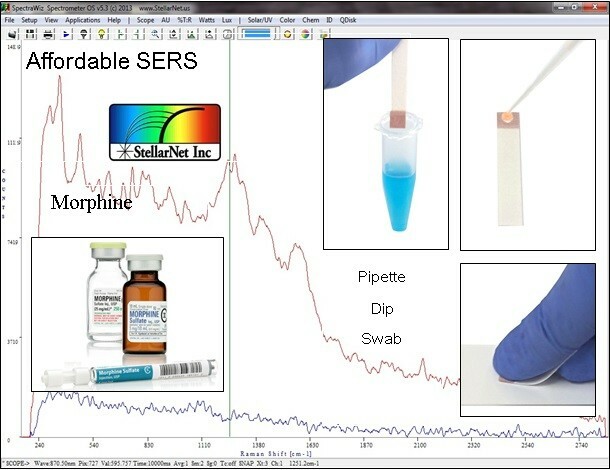 What are chemicals commonly detected with SERS? Do I need to wear laser safety goggles? 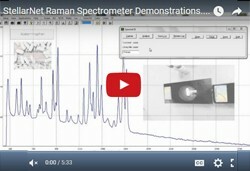 What is the spot size and working distance for Raman probes? 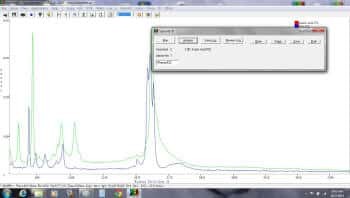 Can I dip my Raman probe in liquid? 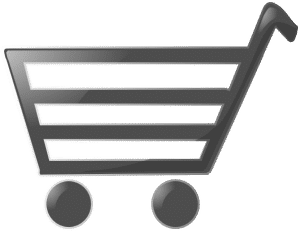 Can StellarNet build a Raman library for me?